"No one is what they seem." Stonehearst Asylum is a thriller film that was released in 2014. The film involves a young med school graduate who starts his first job working at an asylum. The young man seems to be very happy with his new job, and he soon finds himself infatuated with a fellow staff member. However, the young man does not know about the recent changes to the asylum’s staff, and what terrible events were involved with it. The young doctor slowly becomes aware of these changes and attempts to investigate the matter more. This ultimately results in him discovering the horrific secret of the woman he has fallen in love with, and the fact that he is now in extreme danger. Stonehearst Asylum was directed by Brad Anderson, and it was written by Joe Gangemi. The film is a modernized version of a short story written by Edgar Allen Poe. The film features performances by Kate Beckinsale, Jim Sturgess, and David Thewlis. 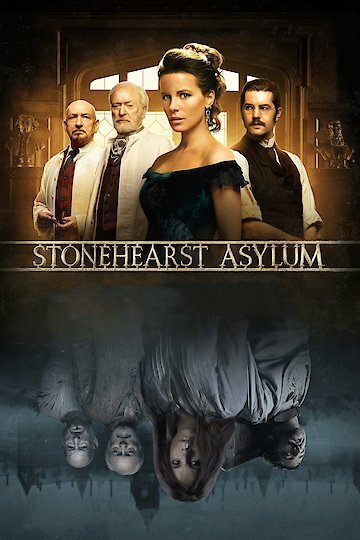 Stonehearst Asylum is currently available to watch and stream, download, buy on demand at Netflix, Google Play, YouTube VOD online.